It's Not Work, It's Gardening! : Blue. Really blue. 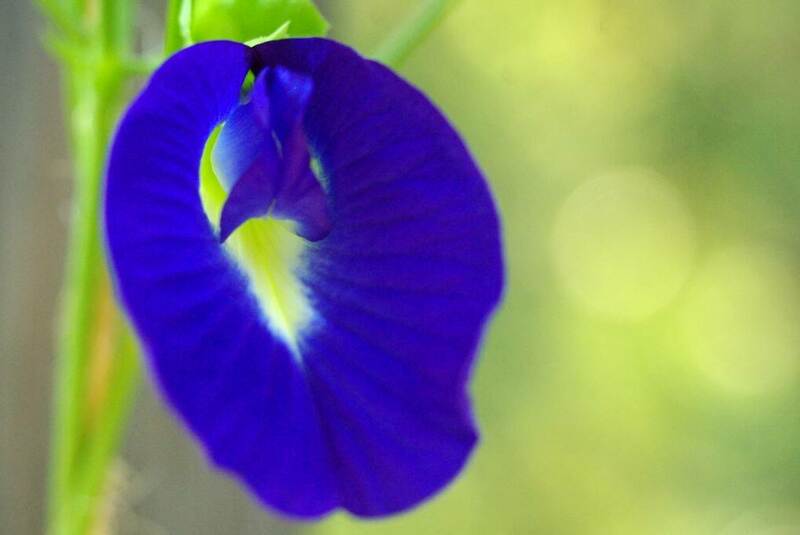 One of the new plants in my garden this year is a flowering vine called "Royal Blue Pea Vine" or "Blue Butterfly Pea Vine" or variations on those. I have to tell you, these blooms are really blue. Very, very blue. 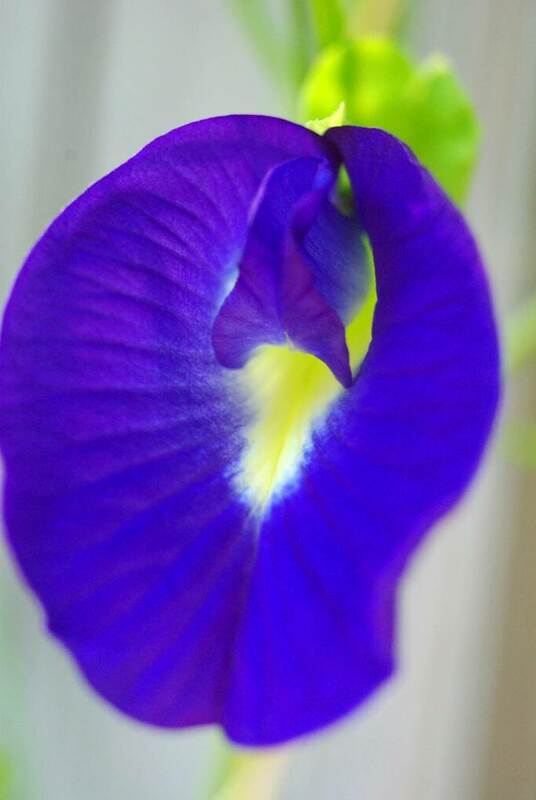 Typically I only see a single flower open at a time. So far. 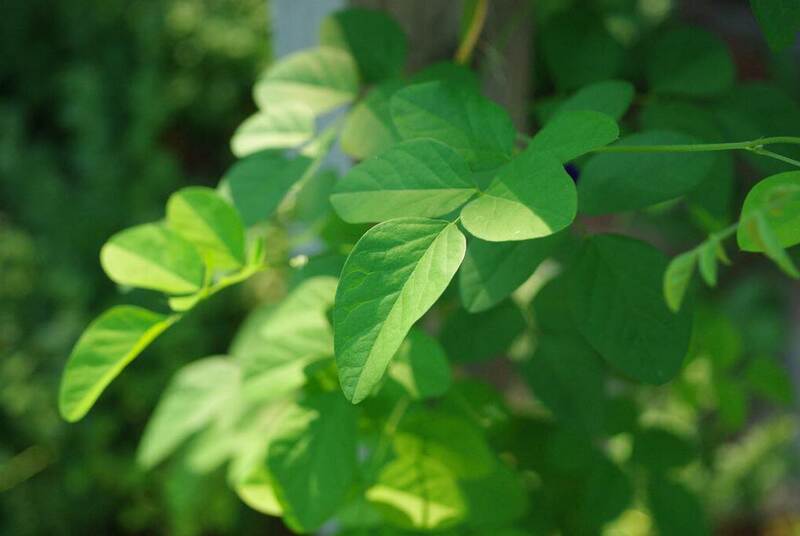 I told you, not much of a complaint, as that will resolve itself soon as vines typically grow exponentially once they reach a certain size. So more blooms are coming. 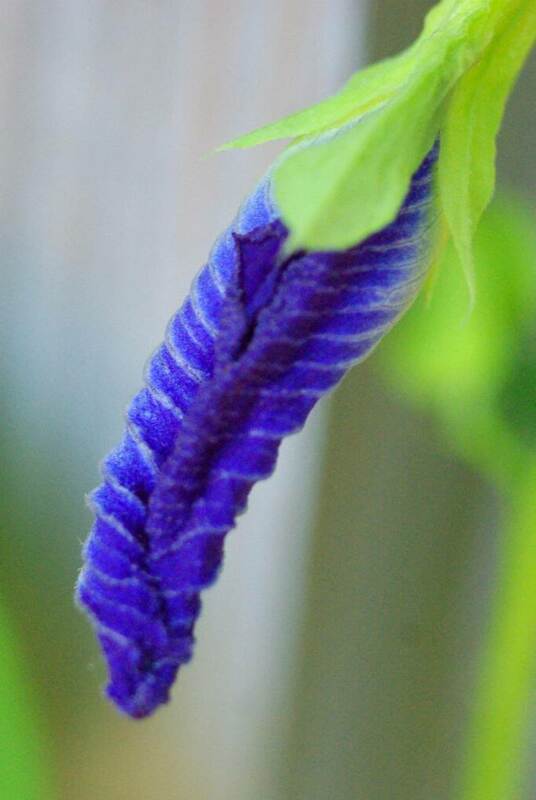 Clitoria ternatea, so far a winner in my garden! It can be tricky to find true blues in nature, and this one is definitely a winner! Those are a gorgeous blue!! Where would one look to find them? Maggie: I got my seeds this year from Onalee seeds. Oh my gosh, want want want! I think that this is the one Thais use as a food colouring? I thought I'd blogged about it but I can't find the post! You can put the flowers in tea which turns it a bright bright blue, then add lemon juice and it turns a hot pink; very cool! I have some of the seeds to try growing them here once Winter is finished. Beautiful colour and I like the foliage a lot too!